Saias L, Swoger J, D’Angelo A, Hayes P, Colombelli J, Sharpe J, Salbreux G, Solon J. Our group is interested in describing the mechanisms at the origin of force generation, coordination and regulation in biological tissues. During Drosophila embryogenesis, dramatic tissue rearrangements occur to shape the organism and form its organs. The embryo undergoes a sequence of morphogenetic movements precisely controlled by complex signalling networks. The origin of the forces driving these morphogenetic movements and how signalling networks coordinates them remains unclear. We are developing methods to apply controlled forces and measure cellular forces in a developing living organism. We combine these methods with state-of-the-art 3D high-resolution live imaging, Drosophila genetic and quantitative modelling to understand the mechanisms regulating the contraction, the spreading and fusion of biological tissues. 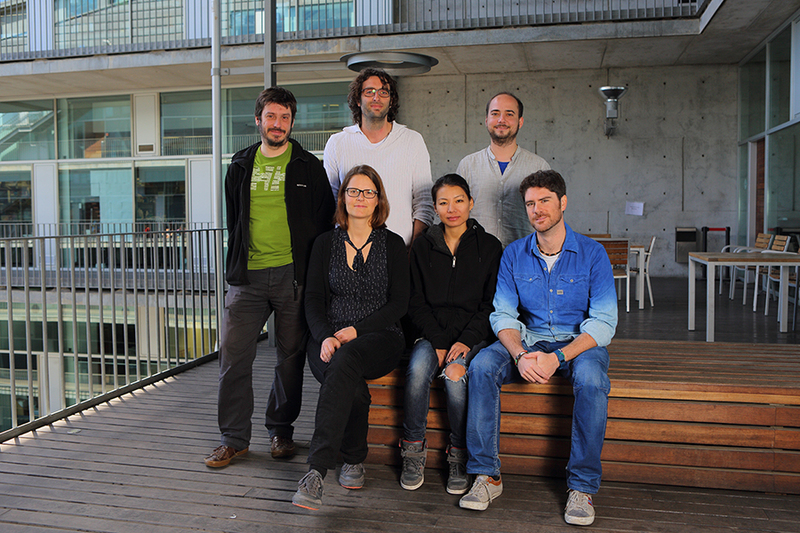 We are developing new methodologies to induce and measure cellular forces in vivo. We are developing quantitative models to describe acto-myosin cytoskeleton activity driving tissue remodeling. 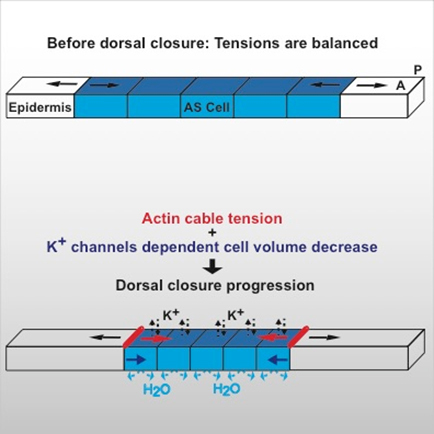 We found that the fundamental property of acto-myosin turnover can underlie the generation of apical cell surface oscillations as observed in vivo (see Dierkes et al., 2014). We are describing new mechanisms regulating the coordinated spreading of biological tissues during development. We are designing methods to extract 3D epithelium architecture for the understanding of epithelial fold formation.